This site is about sharing and learning the craft of woodworking. Please leave comments. I had a lot of handsaws in various places around the shop. Some were just in the way. I needed to make a saw till but just couldn’t decide on a design. Discussions with Mark and Doug were very helpful and here is the build and it’s content. My saw till and handsaws. Retired science teacher. Beginning woodworker. It is my passion to make things and solve problems. 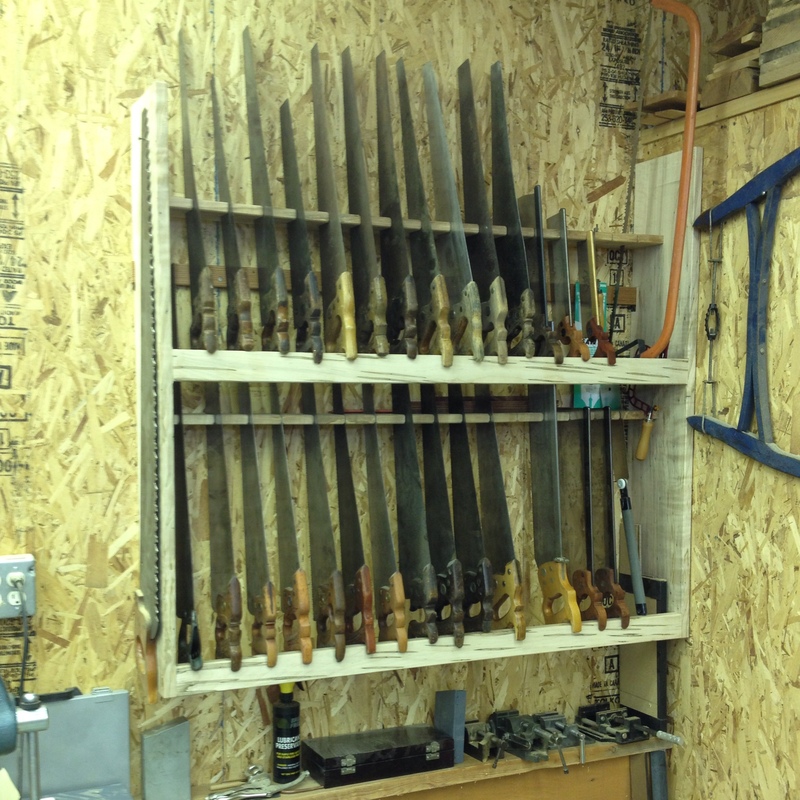 This entry was posted in Beginnings and tagged Hand tools, Handsaw, saw till, shop storage. Bookmark the permalink. I don’t know this tree species, do you?